Good day , please I have problem in my photo library. I performed a sync with iTunes then I found that there are so many duplicate photos on my iPhone. How do I delete those duplicate photos on my iPhone? Your suggestions are greatly appreciated. Thanks! Duplicate photos somehow always find their way into your photo library, taking up a lot of storage space, and making your photo library cluttered. If you want photo library of your iPhone clean and organized, then you will have to get rid of the duplicates. 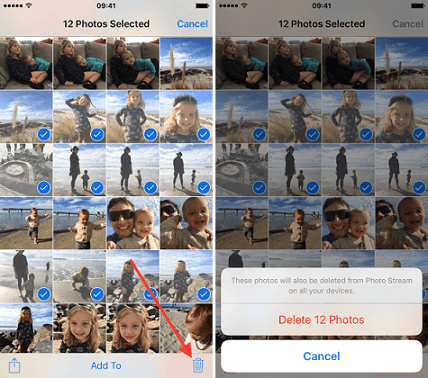 Fortunately, there are a number of ways to delete duplicate photos on iPhone. 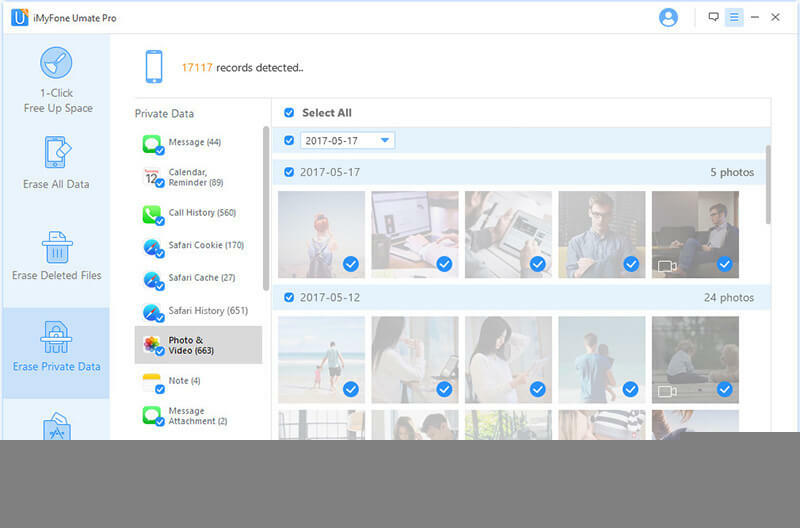 iMyFone TunesMate is a third-party iPhone file management and file transfer tool that allows you to manage your iPhone photos efficiently. Many new iPhones (iPhone 8/8 Plus, iPhone X, etc.) and other iDevices that run on iOS 11 support HEIC photo format. Managing such photos might be difficult on your computer but since TunesMate fully supports HEIC photos, you don't have to worry about it. Step 1. Connect your iPhone to your Mac or Windows PC and launch TunesMate. Step 2. Click the Photos tab from the software's home interface. You will see all your iPhone photos on the next screen. Step 3. 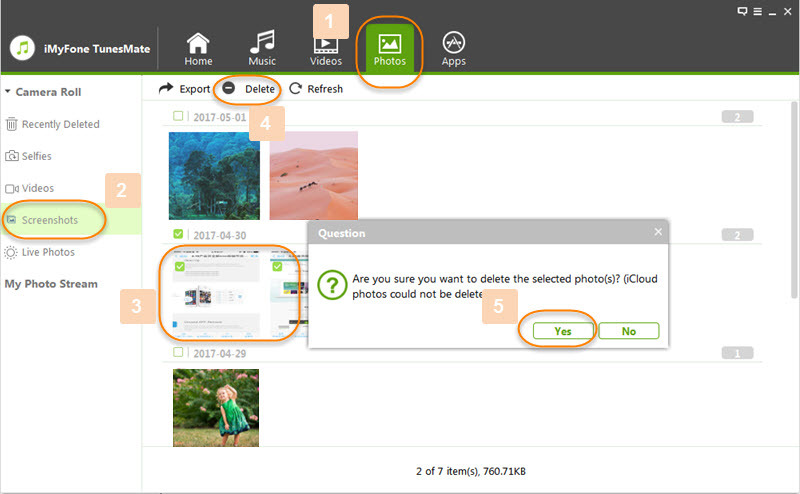 Now preview and select the duplicate photos from the list and then click the Delete option. Click Yes to confirm your action. On your iPhone, find and open the Photos app. In the app, you will see all your photos. Now navigate through them and find the duplicate ones. 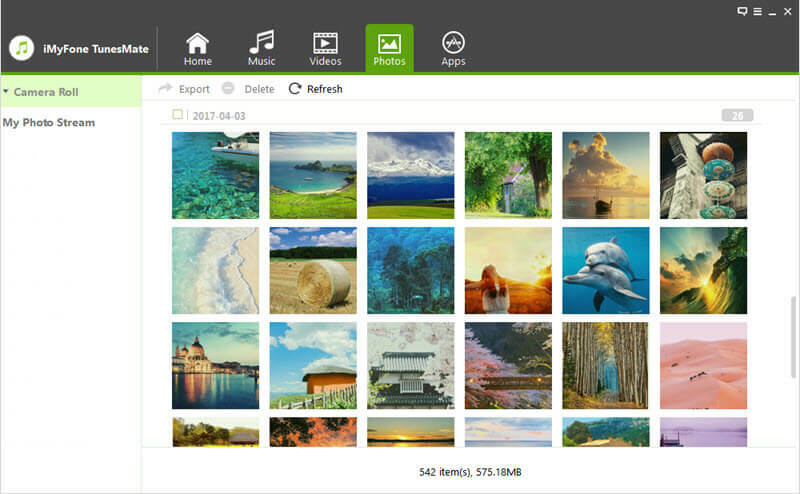 Select the duplicate photos via the Select option shown on the right hand corner. Now click the Trash icon in order to delete the duplicate photos that you have selected in the previous step. If you use iCloud Photo Library, then any photos you remove on your Mac will be automatically deleted from your iDevices that are iCloud Photo Library-enabled. Find and select the duplicate photos. Now right-click and choose Delete. Then select Delete again when prompted to confirm your action. Since latest iPhones capture photos in HEIC format, you won't be able to delete those photos from your Mac if you have macOS Sierra 10.12 or lower version. But you can install iMyFone TunesMate on your Mac to delete duplicate photos on your iPhone. Use a compatible lightning cable to connect your iPhone to your Windows PC. Open This PC or My Computer (depending on your Windows) and double click your iPhone under Portable Devices. Now navigate to DCIM folder in Internal Storage and then preview and delete the duplicate photos. The main drawback of this method is that finding particular photos is a hassle because there is no indication regarding where your specific photos are located. So it would take a lot of time to find and delete all the duplicate photos. Except that, HEIC format photos cannot be opened on Windows computer. While all the methods described above allow you to delete duplicate iPhone photos, they don't delete the photos permanently which means they can be recovered by recovery software. If you want to permanently erase those photos, then it is recommended that you use iMyFone Umate Pro. This data erasing tool is great when it comes to scanning and permanently erasing any or all data from an iDevice. Compress large photos with a single click to free up space on your iPhone. Export any or all your iPhone photos to your computer via Umate Pro. You can preview the photos before deleting them. Erase your iPhone photos permanently, making them 100% unrecoverable. 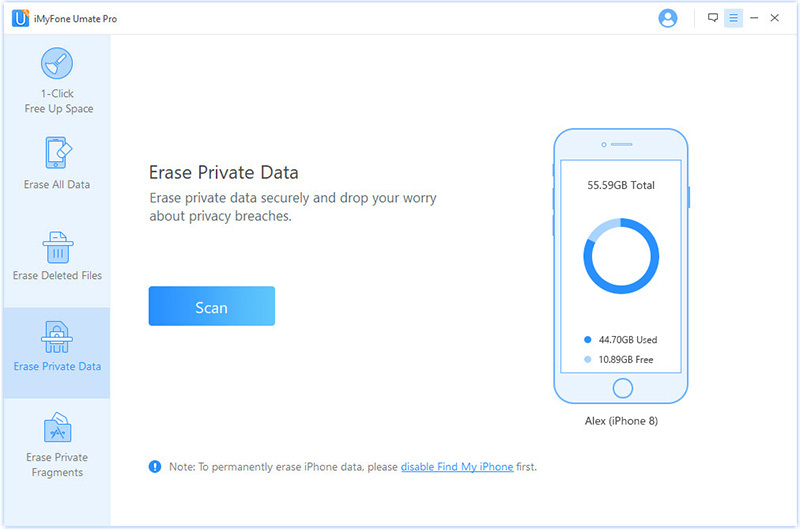 Umate Pro also scans and permanently erases deleted photos from your iPhone to protect your privacy. iMyFone Umate Pro is fully compatible with iOS 11 and receive lots of positive reviews from Cultofmac.com, Makeuseof.com, macworld.co.uk, etc. Step 1. Launch Umate Pro on your Mac or Windows PC and connect your iPhone. Step 2. Choose Erase Private Data mode from the home interface of Umate Pro. Click the Scan button on the next screen. Step 3. Now preview the photos/videos and select the ones that you wish to delete. After selection, click the Erase Now button to proceed. After these steps, the selected photos will be deleted permanently, no one can recover it even with a professional recovery software.